Briefing session will start at 9:00am; drivers who have not completed the briefing will not be allowed to drive on the track. If you miss the briefing, you must wait until an instructor is available to brief you. This will depend on their availability and will take time. Official lap timings will be done as mentioned in schedule; drivers will only be allowed to drive their own cars at that time. Only registered drivers will be able to drive and not the passengers. Not even for one lap this is for the safety and fairness of other registered drivers. Transponders will be attached to your cars, make sure they are removed before you leave the track if they are lost or damaged you will be liable for it. No drifting or stunt-driving will be allowed on the track; your car will be removed from the track and not allowed to participate if you drive dangerously or aggressively. 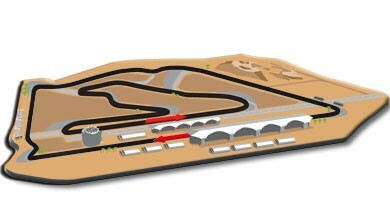 This is a time attack event – All times will be recorded; there is no need to race each other on track. 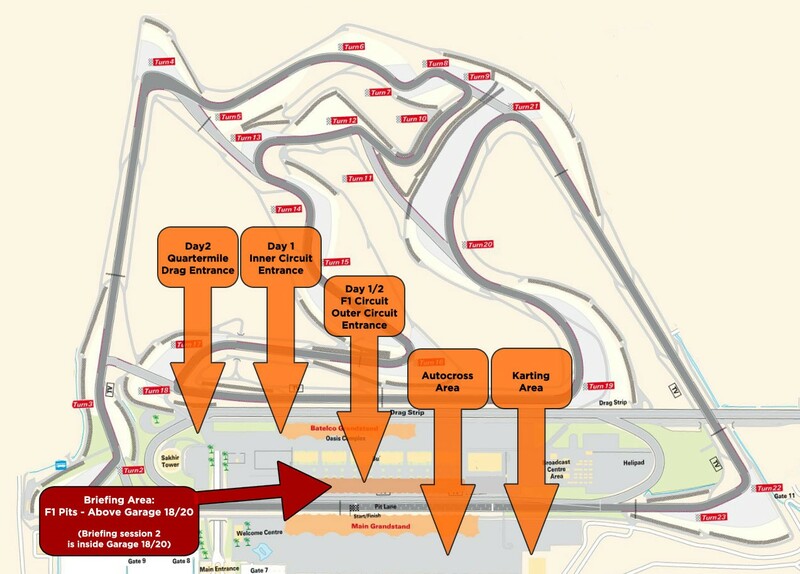 GulfRun is open for all visitors / attendees to attend and view the race, there are no tickets or fees required. 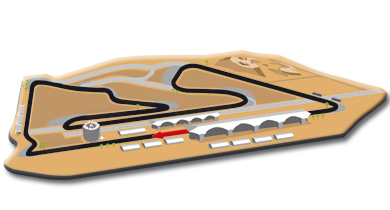 Helmets are required on the track; you should bring your own helmet (Motorcycle helmets allowed) with you. Pirelli will be available on track to provide tire services; they will also have a limited stock available if you would like to purchase tires from them. If your car has special considerations and you will need another set during day 2, we advise you to bring a set with you. We highly recommend that you contact your Insurance Company to extend insurance coverage to the GCC region. GulfRun is not responsible for any damages and or accidents that occur during the event or transportation. You will be issues an Event ID during the briefing – Please have your pass on you at all times; this will be used for registration and to identify yourself as the driver during timings. Fastest lap times on three of the Bahrain International Circuits tracks.